« The First Voynich Photocopies? There appears to be some misunderstanding in America about my views on the Voynich MS. I have never written anything about it, and any remarks I may have made in conversation represented only impressions of a long past event. From what you tell me, it is obvious that the MS that I remember seeing in Germany many years ago could not have been that of Mr. Voynich. Though I did not know Mr. Voynich personally, I have heard the highest reports of his integrity as a man and as a dealer from those who knew him well, and I should be very sorry to be thought to reflect on his memory in anything whatever. So this clears up the matter. It was a simple misunderstanding all around. 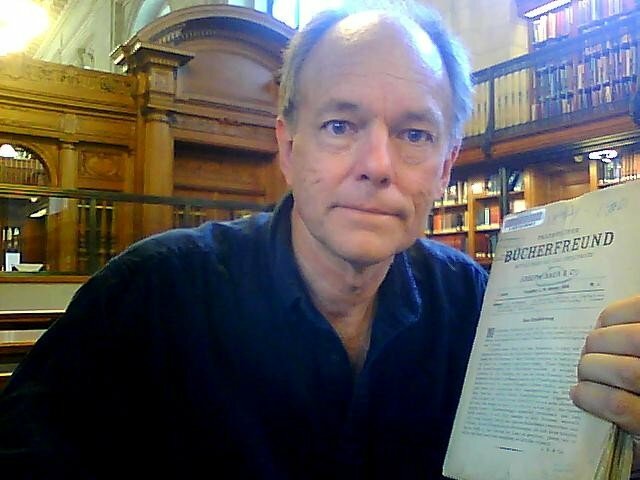 The trouble for me was that the Voynich collections are split between the Beinecke and the Grolier Club, and so the question was left hanging by seeing only the one. Professor Manly has forwarded to me your very kind letter, the generous spirit of which I deeply appreciate. You will, I am sure, understand my having felt anxious that any accidental confusion of my husband’s MS. with some other one should be cleared up, in order to prevent the possibility of any distressing misunderstandings later. Your letter has been a great relief to my mind, and I beg you to accept my thanks for it. Although the question is now settled… Charles Singer never saw the Voynich before 1912, and actually only saw copies, years later… I will leave the blog post up (for the time being, at least), for general interest. I’ve not yet finished writing up my reflections on the Anne Nill and Herbert Garland letters in the Grolier Voynich collection, but before I did, I’ve been anxious to relate a very interesting story which I discovered in that correspondence. I investigated this story… a rumor really… as far as I could, here in New York State, and on the internet, but if it can be taken any further it will have to be by someone in Europe. Even so, it will probably turn out to be a dead end, whether true or not, and never be resolved. But the implications of the rumor are important enough to explore as far as possible, in my opinion. Of course that is a fairly stunning rumor. It is also, in my opinion, a pretty solid one, and worth looking into. Consider that Thompson thought it was important enough to make a special visit to Nill, and Nill was interested enough to try and figure out if it was true. The 1930 date of the letter, and the fact that Thompson was previously in Chicago, means that Singer claimed Baer had the Voynich as early as 1905 to 1910. 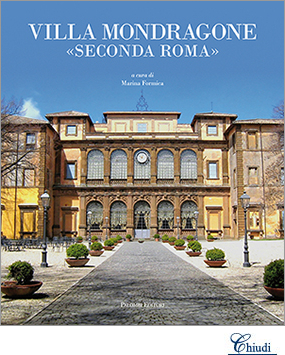 Even if Voynich had loaned it to him, this predates the 1912 “ancient castle in Southern Europe” and “Villa Mondragone” claims by at least two years, and as much as seven. But why would Voynich lend it to Baer in the first place? In the years Voynich owned it, he was very careful to whom he allowed access to the images of it. To leave it in Frankfurt, in the hands of a competitor, seems unlikely. Or did he actually get it from Baer? If so, where did Baer get it? For some reason or another, it turned out that the “Crummers” were not able to enlighten Anne on the Singer issue. But it also seems that Anne was attempting to reason away the Singer claim, by assuming that the manuscript could not have been the beloved “Bacon”, but some other. This seems to be a bit of rationalization on her part, as Thomspon was quite clear that Singer was lecturing on the Voynich, and both Thompson and Nill were quite sure Singer had not seen it, or copies of it, while in the possession of the Voynichs. The only choices were that Singer had seen another manuscript he confused with the Voynich, or that he was telling the truth, and saw it in the possession of Baer, 1905 to 1910. So again, or still, in 1957, Singer is thinking “Prague” and “Paracelsus”. Again, we have choices in determining the implications of this. Either Singer really did see the Voynich in the possession of Baer pre-1910, and continued to believe as he did from the start these points; or that he was mistaken, and saw another manuscript with Baer (as Nill seemed to hope), which just happened to give him the same exact impression as the later, now revealed as the correct, Voynich Ms. did! For he must have, by 1957, seen images from the actual Voynich. I think that Dr. Singer held to the same views as expressed to Thompson in 1930, and in his lectures at that time, all the way op to 1957, is a strong indication that he did see the actual Voynich Manuscript pre-1910. Again I see in that a sense that Anne was hoping for some “wiggle room”, and wishing that the rumor was not true. Her reasoning, however, seems slim to me. She is again hoping that Singer may have come to his conclusions not from seeing the Voynich by 1910, in Germany, but by having discussions with others, at a later date. The only way this could be would be to call Singer a liar, however, which she only indirectly implies. Singer would have had to make up the story, to Thompson, and to have been publicly discussing the “cipher ms.” under false pretenses. I do not believe this is so, from what I read of Charles Singer… that is, I believe he and Thompson were correct and truthful. And, at the same time, she seems to question Baer’s credibility… insinuating he was lying to her, in order “not to offend a possible client”. From what I have been reading about the internal practices of the rare book trade at this time, with the fudging of provenance, the shill bidding, the manipulations of prices at auction, the forgeries and deceptions… I would not consider, as even Anne Nill apparently did not, a small lie about owning this manuscript- the Voynich- as so unusual on the part of Baer. And if so, who was this “possible client”? Was Nill thinking, as I did when I read that line, of Wilfred himself? So it was Baer’s word against Singer’s, at that point, and really, it still is. As it stands, I see this rumor as fairly credible. Really the only way to dismiss it would be to prove, as Nill tried, that Singer saw a different manuscript with Baer, and this carried him through the years until he saw the actual Voynich, and he either happened to think the same things about both… an unbelievable coincidence, really… or that he did not want to destroy his credibility, and so when he finally saw the “correct manuscript” he simply applied his previous theory to it. Clearly not the Voynich, but whether or not this interesting manuscript was similar enough to confuse Singer, is something we might consider. I would also be very interested in seeing this work, should anyone recognize it from this description. There was nothing else even remotely close to the Voynich that I could see in these catalogs. I also looked for a Paracelsan Ms., which Baer clearly said he never owned or sold. And Baer did own and offer several copies of Paracelsus, although no manuscripts that I could find. So I think the catalog angle has been explored well enough to close that door. But that does not mean that this is a dead end. Far from it, as I still feel that the rumor has enough credence to warrant further investigation. Should anyone reading this agree with me, and I truly hope they do, perhaps they could look for any possible collections of Joseph Baer and his enterprise, perhaps in Frankfurt, for evidence in private letters and papers, of our “cipher ms.”. Similarly, the papers of Dr. Charles Singer ought to be examined, if they are available, for any mention of the Voynich pre-1910. I think these are worthy missions, considering the tremendous implications of the 1905 Frankfurt rumor to the field of Voynich research. This entry was posted on August 19, 2012 at 9:52 am and is filed under Dating the VMs, history & provenance. You can follow any responses to this entry through the RSS 2.0 feed. You can leave a response, or trackback from your own site. The image of the catalog in the original German is low resolution and difficult to read. Is it possible you could provide a higher-resolution version of the image, so that I can more comfortably translate it? The translation you provide above is fairly poor, not much better than a machine translation, and I would like to improve it if you don’t mind. I’ll email you the best one I have… I had reduced it for the post. Thanks, Rich. and found a few on subjects from Shakespeare study to the history science and medicine. I was not able to find one called “From Magic to Science: Essays on the Scientific Twilight”. I didn’t find anything obvious about a Paracelsian cipher manuscript yet. Perhaps he confined his speculation/mention of this to his lectures. Thanks, Ernest. He deserves some more scrutiny I think, and that is a start. Rich. Charles Singer was one of the leading experts on the history of the Dioscurides herbals (from his publication quoted above), but most of his work has been superseded by later research. For this see also Minta Collins: Medieval Herbals. He clearly refers to the Voynich MS as being a Paracelsan MS, in particular mentioning the nymphs (cited by D’Imperio). I doubt that D’Imperio ever spoke with SInger, but she used all material available in the Beinecke, and from memory I am certain that there are letters from/to SInger there. I just started to look into this, and it is truly fascinating. While Voynich was a successful antiquarian book dealer, he was really a very small fish in the pond compared to Baer. Baer’s stock included 600,000 volumes and he published more than 700 catalogues. Baer’s family business started before Voynich was born. Since this business was located about 40 km from where I now live, I think I am in a fairly good position to find out more. Very exciting Rene… it would be wonderful if you could find out more from your end. On the 14th C MS of which you found a German description, this is almost certainly a copy of ‘Tractatus de Herbis’ about which I spoke at some length in Frascati. About 480 plants, a number of animals, alphabetic, balsamus inside walls, this all fits perfectly. Interestingly, the Morgan library was dealing a lot with Voynich. Thank you for clearing that up. As for Voynich dealing a lot with the Morgan, he seems (and Nill by the time of the Depression) to have seen the libraries as a reliable source of revenue through the purchase of his books, when the market affected the habits of private collectors more directly. He, and later Nill, often approached Museums and libraries with their stock, proactively trying to sell them. I’ll bet it is no different today. I’ve been tracking down manuscripts which Voynich personally found… and three of them are in Columbia University Library (so far, there may be more there). Rich – I wanted to ask if you’d add a search-box to your blog – unless there’s some reason you’d rather not? A note on herbals and secondary sources. First, Charles Singer was a physician who became an historian, though his first (and primary interest) was not in the European herbal tradition. His greatest work was to edit a massive History of Technology. 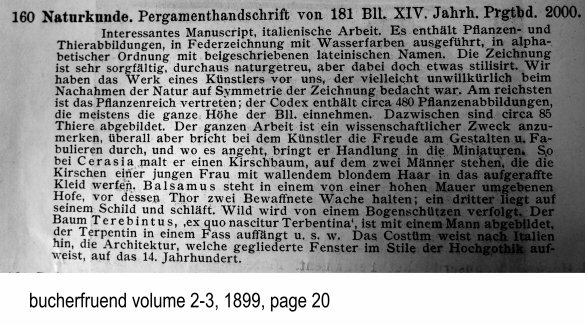 So while his ideas about herbals are sound enough, his credentials shouldn’t be ‘puffed’ – others wrote, and wrote better (in my opinion). Minta Collins work was soundly critiqued by Alain Touwaide at the time it was published; while handy for people without the time or any particular scholarly interest in the medieval Latin works, it has some serious flaws and over-emphasis on it since its publication has seen many people quite misled. Better to turn to the books and papers published by Touwaide or Karen Reeds, or any number of scholars in this field. For any who may not know who Touwaide is (no-one did in Voynich studies in 2011, to my knowledge), here’s his profile and subjects on which he’s written – from Researchgate. And finally, it is a great pity that we do not have online a copy of the paper he delivered at Mondragone. Reviews can hardly do justice to the original. Which paper are you referring to? Do you mean that of a speaker at the Voynich 100 Conference at the Mondragone? As for Singer, I’ve read everything that I could find that he has written, even purchasing a couple of his books. There is one small reference which could be to the Voynich, if he did see the Voynich at all… but it is not identifiable as that work. He mentions is in a sideways manner. What I would like to do… and have tried to do… is see if transcriptions SINGER’S talks exist anywhere. I’ve not had any luck finding them, if they do. But learning the different talks he did give, may clear up the confusion about whether or not he was speaking about the Voynich at any point. Alain Touwaide appears to have delivered a paper at Mondragone but apart from a cursory review at Stephen Bax’ website, apparently intended chiefly to turn people off wanting to read the original (says there’s ‘nothing new’ in it) there’s been nothing at all. I full expected that we’d have an essay by Touwaide, or Givens, or Reeds in the Yale facsimile edition. Their names would have made scholars sit up and take notice. Actually I’m at a loss to know the motivation for so much fuss being made about Singer these days. It won’t have much to do with the manuscript’s codicology, palaeography or imagery as it will about pushing some narrative story-line about kings and protestants playing alchemist and doing occult stuff in Prague… far, far, too late. Oh I was unaware of that. When was this paper read? He wasn’t a speaker at the Frascati 100 conference in 2012, and I wasn’t aware of any other Voynich talks at the Mondragone. But I suppose it makes sense that they have other “Voynich-realted” events that I’ve not heard of. Maybe you could write Mr. Touwaide and ask him for a transcript of his talk? Well I’m personally unaware of anyone interested in Singer’s actual opinions on the Voynich, but only because I don’t really pay a lot of attention to the string of various interpretations of the Voynich over the last century. Not that I think they are generally wrong, but they almost all contradict each other, on many points, so that follows, logically, that most experts must be wrong. Don’t misunderstand: I think, however, that most of them DO see the things in the Voynich that they base their (mostly wrong) conclusions on: Because I believe the Voynich is a polyglot assembly of many items, from many disciplines and many eras. That does not happen in anything BUT a forgery… so anyone trying to see it as anything real, will fail… and while failing, disagree with everyone else. Only real items, and very good forgeries, have identities affirmed by expert consensus. So I don’t really care all that much what Singer says about the Voynich, that is not my interest. Maybe he is wrong, maybe it is correct, in thinking it has “Paracelsan” traits… I leave that to others to hash out. My interest in Charles Singer is different, and very simple: Did he see it years before 1912, or not? … I did a search for Mr. Touwaide, and see that like me, he apparently theorizes that the Voynich is a fraud by Wilfrid Voynich. At least, according to “Unraveling the Voynich Codex”, by Janik & Tucker. Interestingly, they also mention my older theories in the book… and then, my current one, the same as Mr. Touwaide: Modern hoax. But of interest is the author’s discussion of my Armadillo identification, which they agree with in a couple of places, even carefully describing the back-and-forth between myself and Pelling, and linking our blogs on the matter. Unfortunately, they do not seem to be aware I am the origin of the armadillo “find”. No biggie… but it is interesting, and I didn’t know until now, that I had an influence on the theories of these guys. He said not; the ‘Paracelsan’ idea is scotched immediately by the radiocarbon dating – and so very much else. But it’s quite possible that the whole issue of that list of books from 1903 (or whatever it was; I think you’d have to go to voynich.ninja for the information)… but perhaps the reason its importance is being inflated is as a way to suggest that Singer could have seen the manuscript, after all, before Voynich bought it. Singer’s theory is only attractive for royalty-fans and those who think occultism and alchemy are rational and enlightened pursuits. Or maybe I’ve become over skeptical. But of course the radiocarbon dating only gives a “oldest date” for the Voynich, it does not give an end date, which can be up to 1912, because it only dates the parchment, and anyone can, and many have, write/written on old materials. I think you mean that Singer’s having possibly seen it might be used to imply the Voynich has a pre-1912 provenance, implying “real”. I would disagree with those who do: It counters those pushing the 1903 list, because in that scenario, the Voynich was sold to Voynich, and nine years later; whereas Singer said he saw the Voynich while it was at Baer’s, in Frankfort. At most, if Singer saw it, it implies Baer either owned it at one time, or Voynich lent it to him for a time. I don’t think it impacts genuinists either pro- or con-. For me, however, if it was at Baer’s between 1905 and 1910, it further implicates Voynich in lying, for one. Secondly, what Singer said about it might help identify any changes made between then, and when it was publicly revealed in 1912… and I do believe changes were made during this time… not the least of which the removal of pages, to change the work’s proposed provenance and origins and age. Well if you mean those who think “occultism and alchemy” are real and valid practices, I’ve not yet met anyone who does, and least of all, Singer himself (unless you know otherwise, but I’ve not seen a hint of that in his works). I’m sure it would be from a purely scholarly perspective, to understand the mindset of the artist/author of the work. I mean, thinking a disciple of Paracelsus is responsible can be wrong or right, but it does not mean the proposer believes in the occult, or that they are in anything but archaic, misguided attempts at understanding the mysterious, in a pre-scientific age. Oh my – the responses do get scrambled if I answer them through my wordpress site. I’ll come directly here in future. This is a link to a photo of the Mondragone volume in which Touwaide’s essays allegedly is. Many years ago, Touwaide co-authored a book with two others, one of whom was the late Minta Collins. Touwaide has since become … what can I say… to the study of the Greek and Latin medieval medical traditions what Emilie Savage Smith is to the Islamic-influenced astronomical disciplines. Not sure I can think of another parallel… anyway I’d like to read what he had to say. And I simply can’t imagine why Yale included those stock-standard wiki-style essays but omitted his in their facsimile edition. Maybe he refused. ? Well of course I can’t say, and don’t know who Minta Collins or this Smith are… but the whole idea of “battling experts” leaves me cold, as it can go on all day and all night, and does. And also, that that battle is mostly irrelevant to my understandings of the Voynich, except to point out the damning (to the Voynich) characteristic that this glaring lack of expert consensus strongly implies: Forgery.